Cast: Vishwak Sen, Sai Sushanth, Abhinav Gomatam, Venkatesh Kakumanu, Simran Chowdary, Anisha Ambrose, Geetha Bhaskar and Others. Vivek (Vishwak Sen) wishes to make a Short Film along with his three friends while pursuing Engineering to fulfill his dream of becoming a Director. During the process, Love blossoms between Vivek and a Girl. She, however, ends the relationship because of behaviour of Vivek. 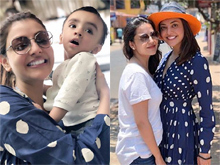 While Vivek wasn't able to handle the phase post break-up, His Friends get busy with their work and the dream of making Short Film remains unfulfilled. After few years, All the four friends meet at a spot and recall the past memories. Then, They get ready to make the Short Film. Will the close buddies accomplish the mission at least now? Do watch 'Ee Nagaraniki Emaindi' in theaters near you to know how the story ends! All the Four Male Friends did a fine job. 'Vellipomake' fame Vishwak Sen looks completely different in this movie. He impresses with the makeover and performance. Abhinav Gomatam steals the show. His comic timing is fantastic in every scene. Tollywood have now yet another talented comedian. Sushanth Reddy and Venkatesh Kakamanu does really well. Anisha Ambrose and Simran have been decent. Rest of the cast is adequate. 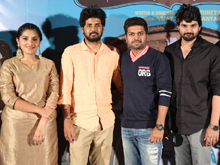 Music Composer Vivek Sagar did manage to give a new sounding for 'Ee Nagaraniki Emaindi'. However, The outcome isn't as impressive as 'Pelli Choopulu'. He can't be blamed as there isn't much scope either. Songs have been good but lacks the chartbuster effect. Background Score is quite interesting. Camera Work by Niketh Bommi is unique and impressive. Production Values are pretty good. 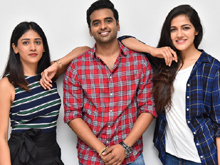 Tharun Bhascker once again made a film which connects well with the urban youth. He, however, failed to make it appeal for all the sections of the audience. The outcome could have been much better had if the script was fine-tuned. 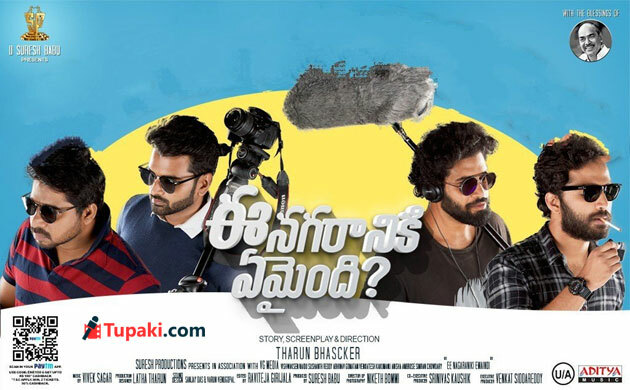 'Ee Nagaraniki Emaindi' is based on the personal experiences of Tharun Bhascker who got a break in the Film Industry because of his Short Films. To be precise, It's his real life story! With 'Pelli Choopulu', Tharun Bhascker presented the Urban Comedy which is in perfect sync with Telangana nativity. He created a new trend in the Telugu Film Industry. Once again, Tharun banked on the comedy which will be liked by the Urban Youth. 'Pelli Choopulu' broke the stereotypes that a film should be made in a certain way. Yet again, Tharun Bhascker leaves a mark of his own with the new outing. Audience get the feeling of thronging into the lives of people while watching 'Ee Nagaraniki Emaindi'. Characters and Dialogues in the movie are so natural. You could see originality in every dialogue. The fun generated when the present generation youth have a conversation is being presented quite well. Preferring Sync Sound made the film look so natural and realistic. Biggest flaw in 'Ee Nagaraniki Emaindi' could be lack of enough drama or good conflict point. Even the characterizations weren't as good as that of 'Pelli Choopulu'. Doing what you are passionate about gives ultimate pleasure is the core point of this flick. Whereas, Tharun Bhascker isn't able to present is so effectively. There is a bit of artificiality while conveying this point and the required feel has gone missing. 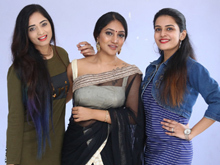 Comedy is the major highlight of 'Ee Nagaraniki Emaindi'. There is nothing special about the Love Story. First Half has been racy but Second Half slows down a bit. Momentum picks up in the pre-climax and the film ends on a positive note. Overall, Youth will go crazy watching this movie. Bottom Line: Fun In Abundance - Feel Goes Missing!